A theft conviction can carry serious immediate and long term impacts. You could be facing serious jail time, labor-intensive community service, and fines. Additionally, a theft record makes it very difficult to find a job because it is viewed as a crime that reflects upon your trustworthiness. If you are facing a theft charge it is important that you have an attorney with a successful history in defending against criminal charges. Jeff Dean has 20 years of experience and success in handling serious criminal cases, and importantly, his law office focuses almost exclusively on criminal defense. Mr. Dean has won NOT GUILTY verdicts or DISMISSALS in a wide range of criminal cases, from theft, DUI, and drug charges, to assault, murder and manslaughter. 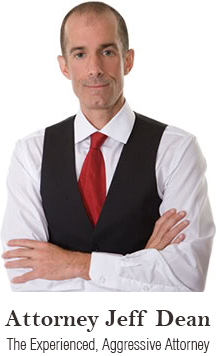 For your situation, Mr. Dean will personally select the best defense procedure and plan and he will fight to win. He may assert that the state has not proven your guilt beyond a reasonable doubt. In a criminal case the prosecutor must prove guilt beyond a reasonable doubt. This is a very high standard and means that all doubts about the meaning of the state’s evidence will be resolved in your favor. Under the law you are presumed innocent. Because you have been charged with a theft crime does not mean you are guilty. Protect your rights and your future call Jeff Dean at (305) 967-6311 or (954) 204-3633 for a free consultation. If you have been accused of theft then this means you have been accused of knowingly using or taking something of someone else’s without their permission. Theft crimes range from simple or petit theft, such as stealing something of little value, to grand theft, such as stealing something like a vehicle that carries a higher value. However, theft crimes do not just occur when something of material value is stolen. You could also be accused of theft if you have stolen someone’s identity. Whether you have been caught in the act, whether you have a feeling that you are under investigation or whether you have already been placed into detainment, it’s never too late to get the legal assistance you deserve. Jeff Dean can represent you if you have been accused of a theft crime, regardless of the evidence against you or the severity of the crime in question. Theft crimes are often considered crimes of dishonesty and therefore heavily impact your record and people’s perception of you. Stealing a television can be looked upon as a misdemeanor offense but there are plenty of crimes of dishonesty that are classified as felony offenses and carry heavy prison sentences. Theft in the workplace, known as white collar crimes, for example, come with fines of as much as $100,000 and are often classified as federal offenses. Burglary and robbery are also considered felony offenses. Fraud related theft crimes, such as identity theft, computer crimes and false impersonation, also come with strict penalties depending upon the circumstances of your case. Some of the things that the court will consider include your previous criminal history, the impact the theft has had on the victim, the monetary amount of the goods stolen, the motive behind the crime and more. Regardless of the circumstances surrounding your case, Jeff Dean can help. Even if you only stole a chocolate bar from the shop on a dare, you can still end up with a criminal record that will impact the rest of your life. If you have committed a more severe theft crime, then you could be looking at a prison sentence. Let Jeff Dean minimize the damage and defend you against this accusation.